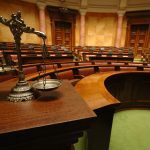 If you believe that you have been wrongly convicted of driving under the influence in the state of California, it is possible to appeal your conviction, but an appeal can be a lengthy and difficult process in the California court system. If you make the choice to appeal a DUI conviction, do it for the right reason – because you genuinely believe that you are innocent of the charge. 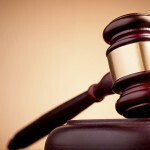 Before you take any legal action, discuss your case and your conviction with an experienced Orange County DWI attorney. A good Orange County DWI attorney can very quickly determine if you have grounds to file an appeal. It’s difficult to emphasize strongly enough how long and arduous the process of appeal can be; before handling your appeal, most experienced California DUI lawyers will want some assurance that you are willing to make the commitment and go the distance, even if your conviction was a genuine miscarriage of justice. DWI appeals must be filed within thirty days of a conviction: no exceptions. The convicted offender must submit a number of legal documents; your attorney can help you gather these. False arrest, juror misconduct, inadequate evidence, or prosecutorial misconduct are the most commonly-cited grounds on which DWI appeals are based. Understand that because your guilt has already been “proven beyond a reasonable doubt,” you must convince the court that you were convicted wrongfully. 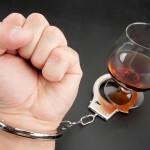 That isn’t easy to do, but good DUI attorneys do it successfully and routinely for clients throughout this state. If you truly believe in your innocence, an appeal may be worth your time and resources. The successful appeal of a DUI conviction sets the record straight and removes the entire incident from your record forever. If you’re considering an appeal, or if you’re currently facing a DWI charge in Orange County or elsewhere in southern California, call an experienced Orange County DWI attorney immediately.